October is here! What this means is that we’re all about to get a whole lot of offers and great deals closer to the end of the month. 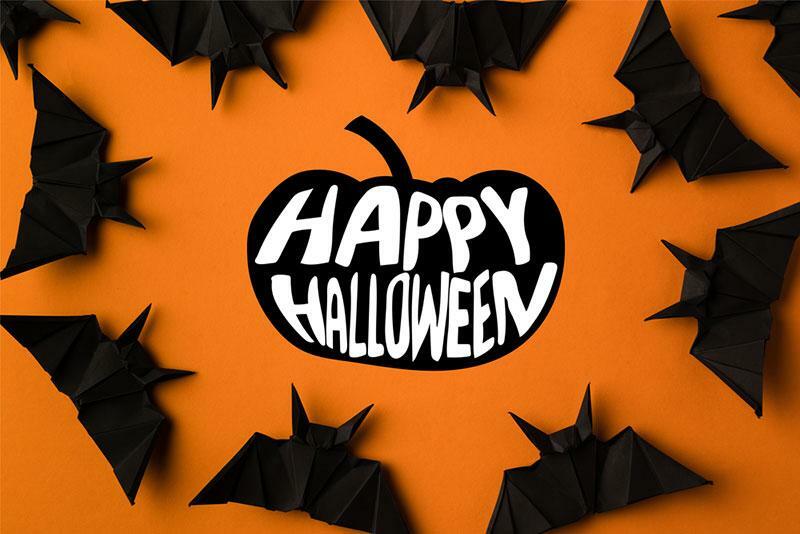 If you’re responsible for some of those projects, you really can’t get by without Halloween backgrounds for ads, print and offline materials. 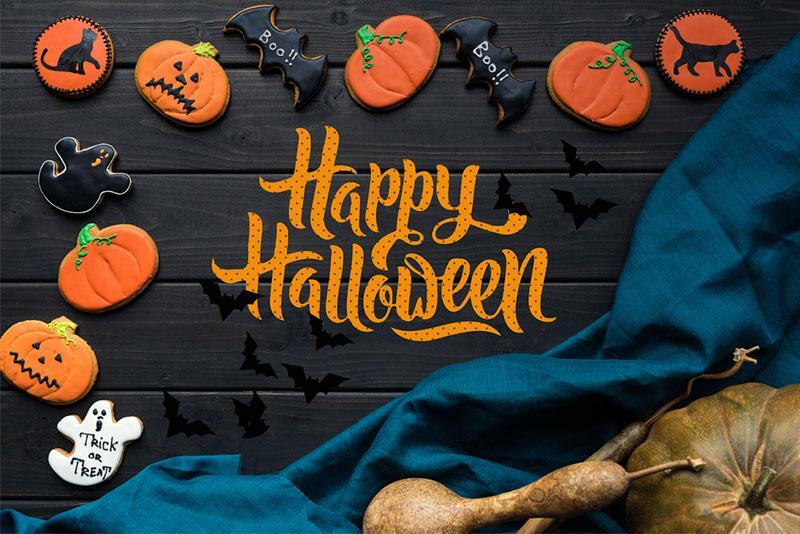 Today’s collection is meant to help business owners and marketers execute their marketing plans with versatile Halloween images perfect for the occasion. 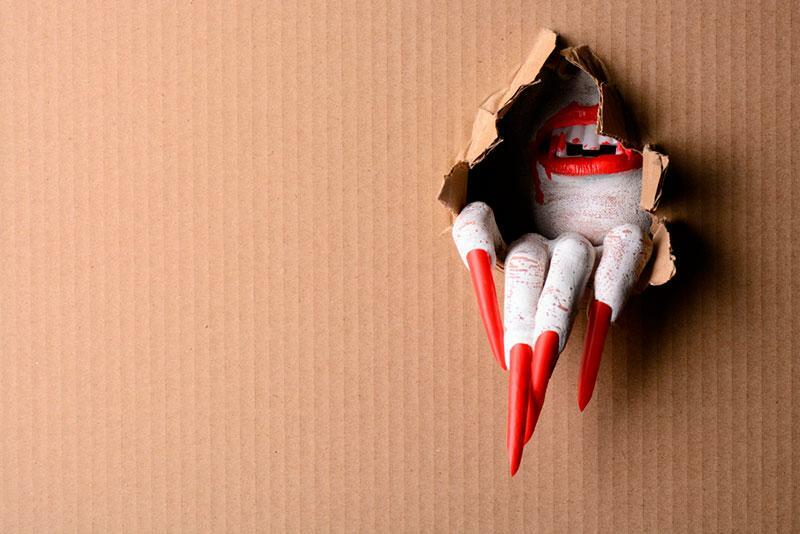 No business ignores the big holidays, and Halloween is no exception. 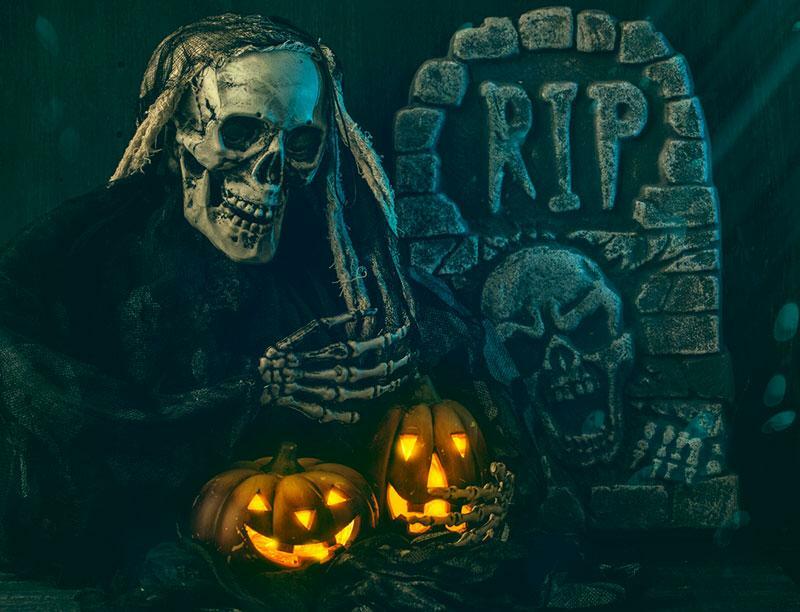 There’s emails to think about, Halloween offers, ads, emails, other promotional materials and maybe a party or 2 that might need invitations. Relax, because you can do all that with visuals from Depositphotos. What kind of a vibe are you going for this Halloween? We split things up a bit to show you how versatile our collection this year is and to ultimately help you choose the right backgrounds. 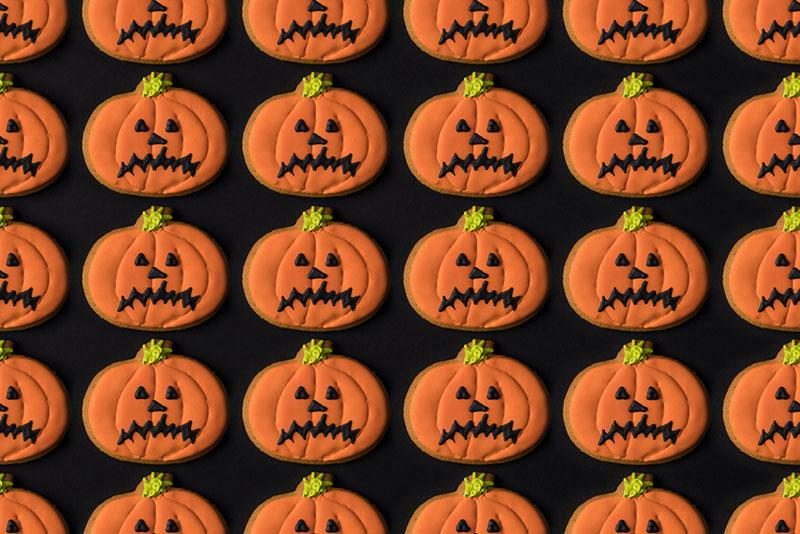 If you’re simply looking for the perfect Halloween backgrounds that will ensure a festive mood, you’ve come to the right place. 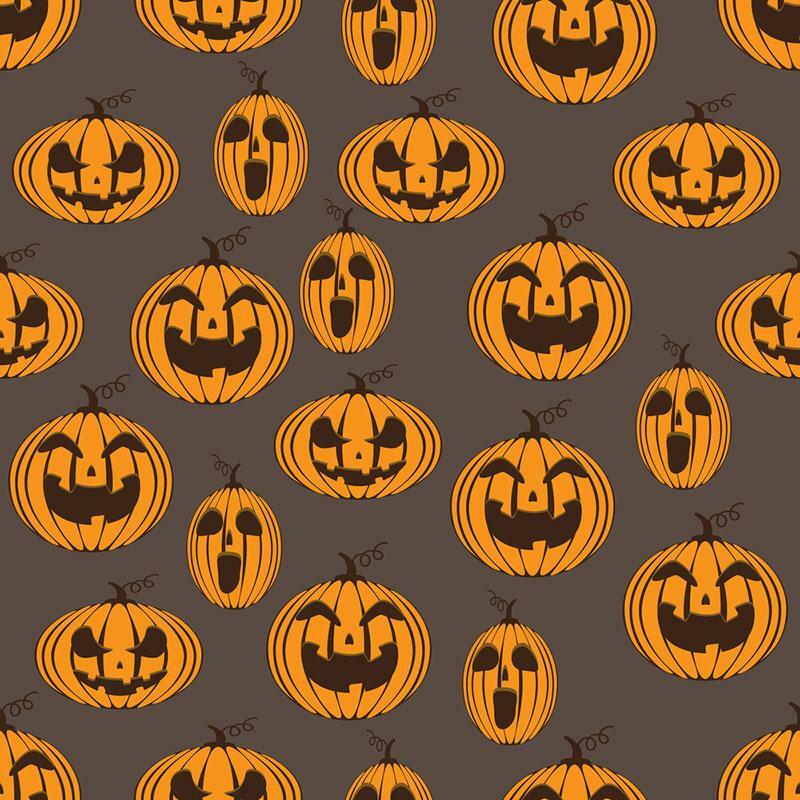 Enjoy our collection and find Halloween backgrounds that will work for your upcoming projects. *Clicking on the images you like will take you to the Depositphotos homepage where you can purchase them right away. A more complete Halloween image that can serve as a simple greeting for marketing materials when you’re in a rush. Halloween is in the little details as well. 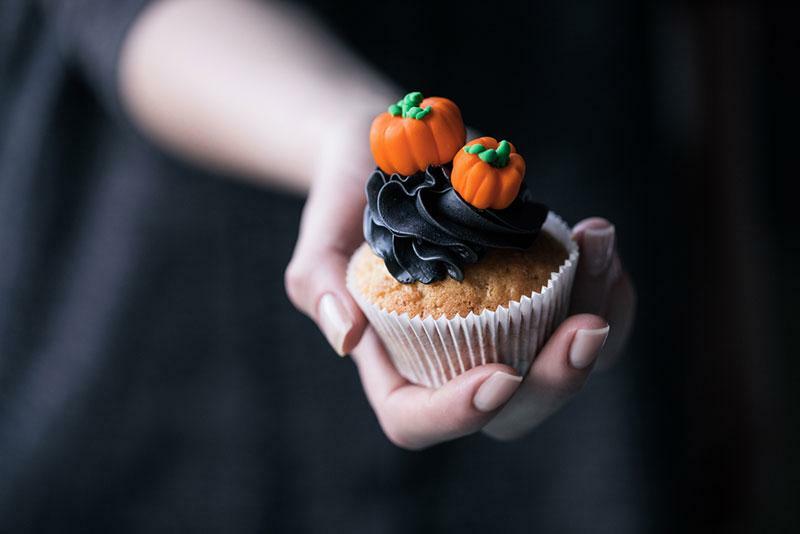 This lovely cupcake with pumpkins and just a touch of darkness is a simple and versatile image that can work for holiday offers. Sometimes a particular shade of orange and a touch of black screams Halloween before we can read the message. This background works well because of its simplicity and an artistic touch with the origami bats. 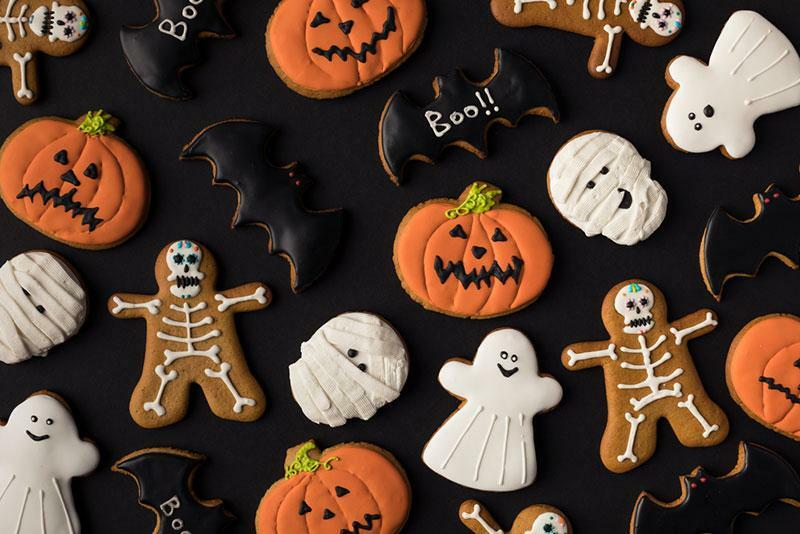 Hands down, Halloween cookies set the mood. 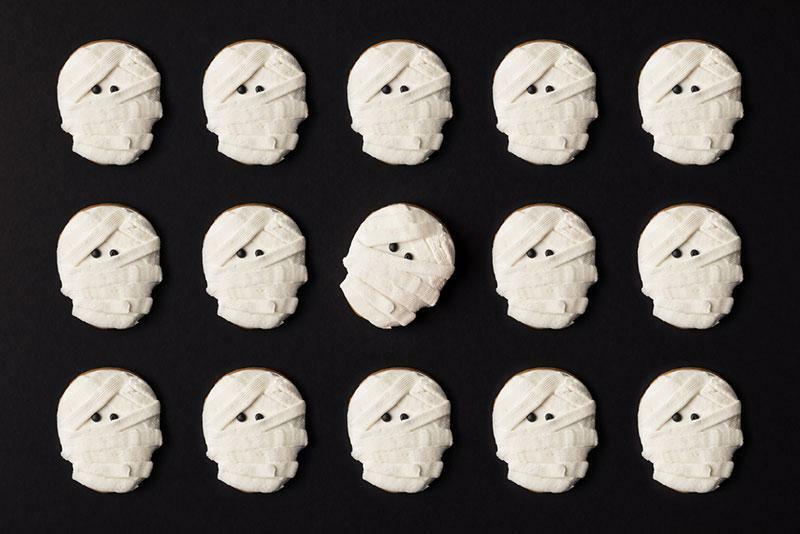 This neat setup of different Halloween symbols as sweets can be great for social media projects. You can always count on flat lay design to catch people’s attention. 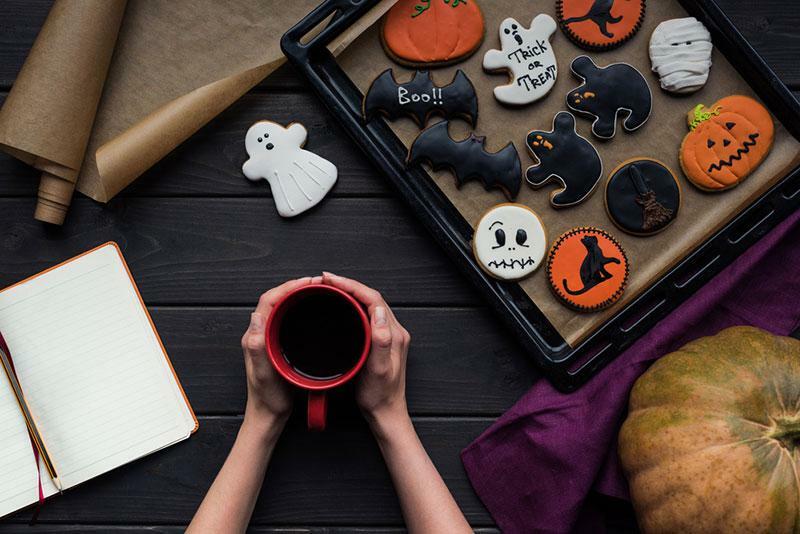 Some morning coffee, cookies, a sketchbook and a pumpkin make for a very crafty environment in anticipation of Halloween. 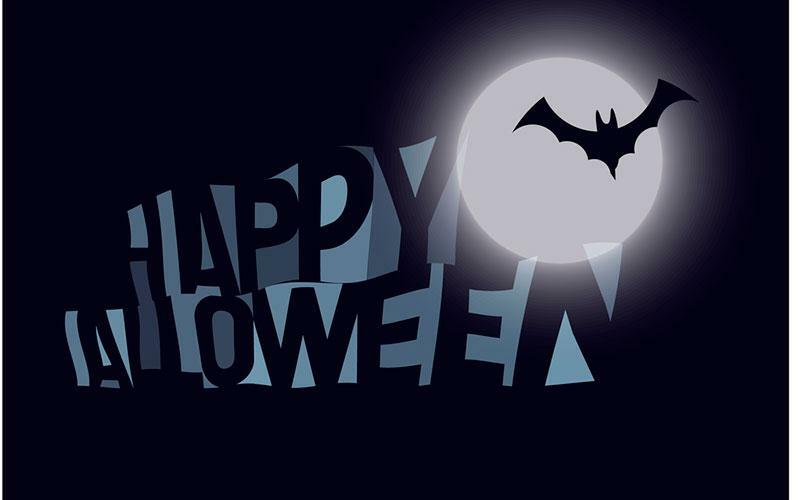 This beautiful and simple Halloween vector background can be used as part of a banner or a Halloween email header. The great thing about vectors is they can be used for projects of any scale. You can crop this simple pattern and use it for multiple ads or other thematic promotional materials. 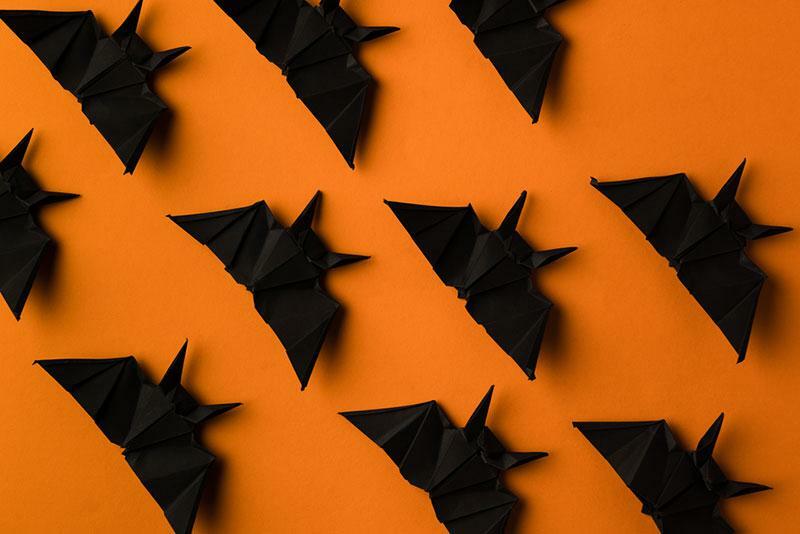 Halloween is also known for the time of the year for arts and crafts and these Halloween bats make for an excellent and simple background. These unhappy pumpkins might not translate a positive mood but you never know what the occasion might be. 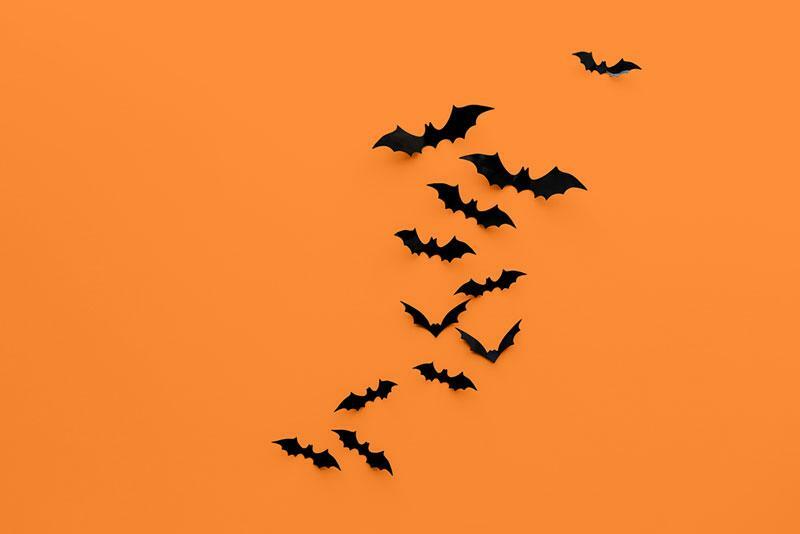 This very simple Halloween background puts a smile on your face because it’s a very neat idea that subtly sets the right mood at first glance. 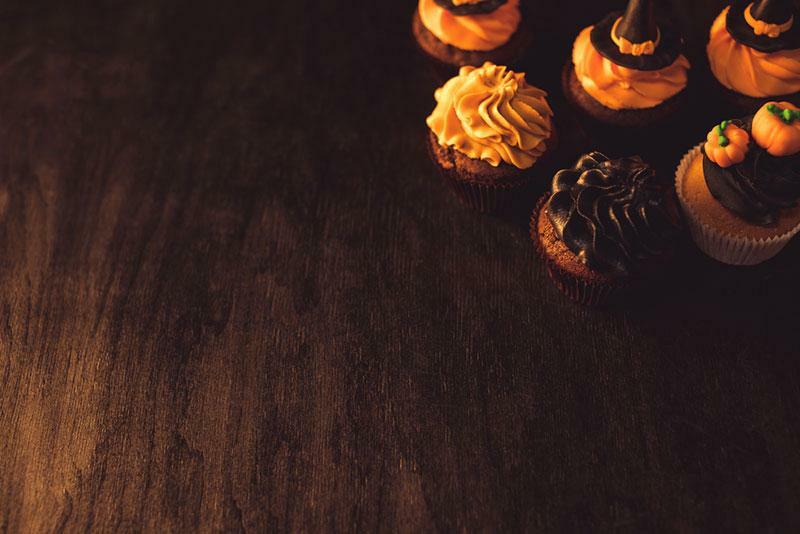 In case you need more space for your message, this simple background with homemade cupcakes could do the trick. 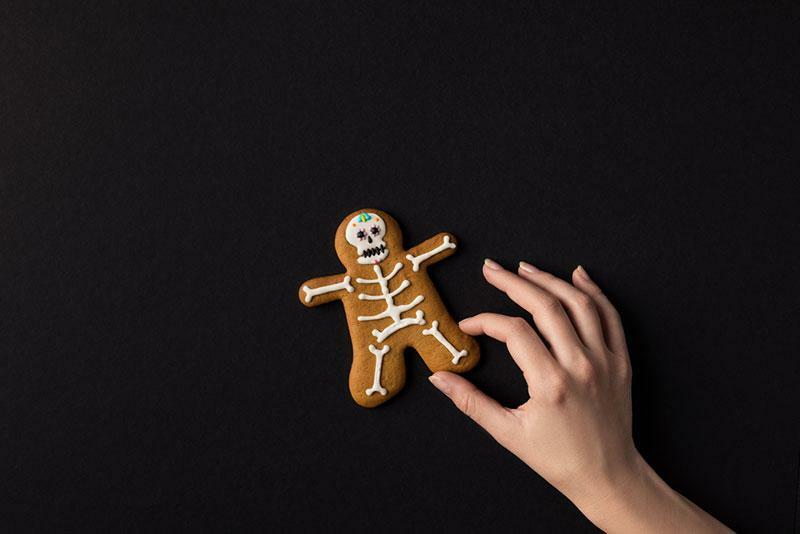 Perhaps a more versatile Halloween background could be something as simple as this hand reaching out to a skeleton cookie. There’s enough space for your message, and can be cropped in creative ways. The go to decor for interiors is always spider webs and some bats. 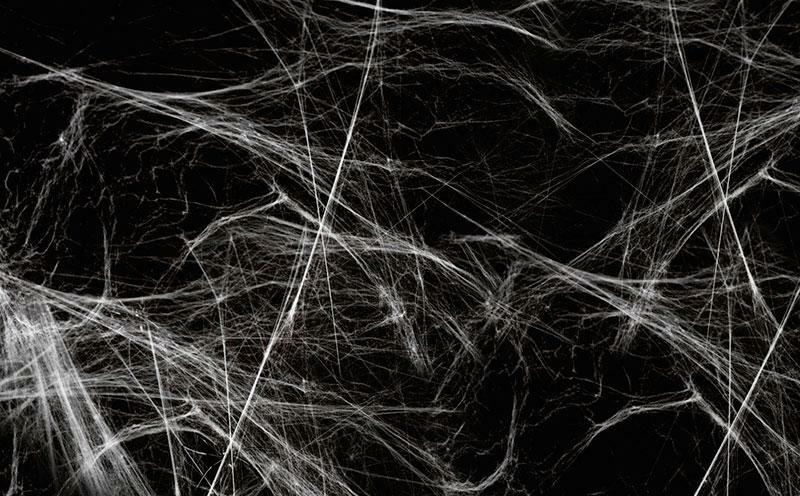 This image of a spider web subtly hints at Halloween but is great if you want something that truly doesn’t distract from your text. Another arts and crafts piece that can be cropped for different occasions and is simple enough to include text as part of the composition. Sometimes you need something a bit more atmospheric so the following images are about setting the right mood if your projects call for it. 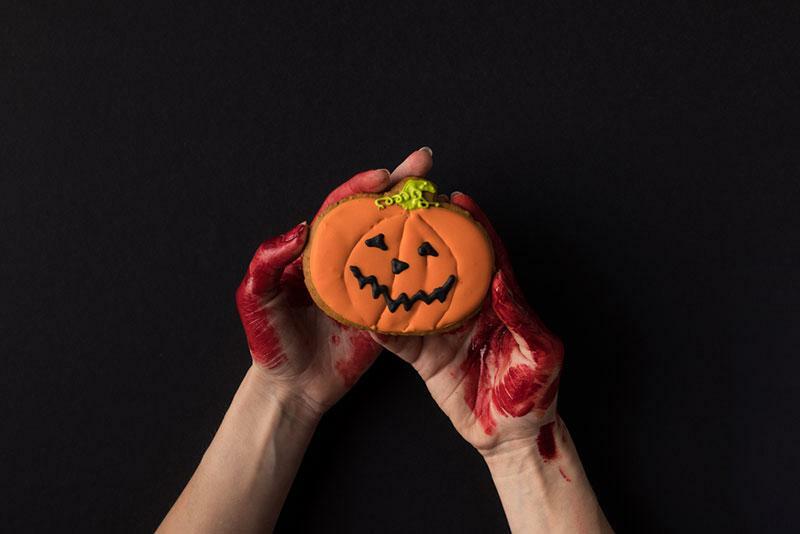 A slight juxtaposition of a cute cookie with some red paint certainly lets your audience know not all is as it seems. This can be a great Halloween background for a party invitation with a theme. Lastly, if your objective is to really send creeps down someone’s spine, here is an excellent thematic visual of some Halloween makeup.